College freshman are forever asking the existential question of themselves: “Why am I here?” Sometimes there’s the followup query: “What’s it all about?” (Or for those with a cinematic bent: “What’s it all about, Alfie?”) Our contemporary teens are simply echoing a question voiced 2,000 years before them when Pilate asked Jesus, “What is truth?” The creator of two workshops that deal with these questions – “How to Discover and Live Your Purpose” and “Why You’re Here“ – I’m often asked the very same question by students and coaching clients. In this column I’ll answer them clearly and to the point. The answers to these questions cut across several areas of our lives, however – spiritual, financial, relationships and society. Allow me to explain by invoking five foreign language words, all of which I’ll translate and expound upon: Moksha, Dharma, Raison d’etre, Karma, and Tikkun olam. The first two and fourth are Sanskrit, the third is French, and the last Hebrew. 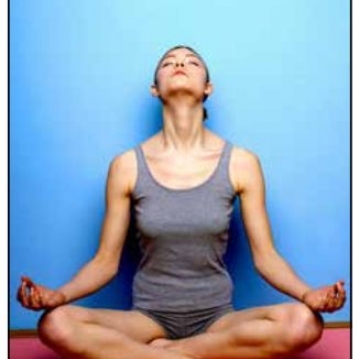 Moksha is a term widely used in yoga circles. By yoga, I don’t mean hot yoga classes, but among those intent on spiritual liberation through Yoga and/or Vedanta, two of the six systems of Indian philosophy. The word means Enlightenment – self-realization and beyond – the number one reason that you are in a body on this planet during this lifetime in the first place. Those who believe in reincarnation posit that the soul keeps returning to Earth until it finally comes to a realization of its true nature, at which point it ceases to incarnate. That realization, which brings peace and bliss, is what Moksha is all about. 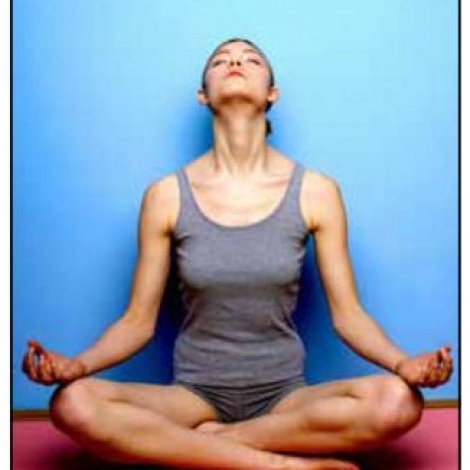 Techniques like meditation, Tai Chi and Yoga can help a person come to the realization of Moksha. here to do to fulfill your reason for being. Raison d’Etre is a French term that means just that: reason for being. Luciano Pavarotti’s dharma was to sing opera. His father was an operatic tenor and his wet nurse was also the wet nurse for the great opera soprano Mirella Freni, with whom Pavarotti often performed and recorded. (Talk about Karma – oops, that’s the next section.) Michael Jordan’s dharma was to play basketball. Tiger Woods’ was to be a golfer. When you do your dharma, you bring the very best that Nature has given you – your Godgiven talents – into the world, thereby making the world a better place. Using your talents as a hobby for a couple of hours on Saturday afternoons is a minor use of your dharma; doing it as your career turns your livelihood into a lovelihood. Karma in Sanskrit means action. The way I’m using it here is the way most people think of the term – the response of the Universe to your actions, your words, and your thoughts. Advocates of Reincarnation hold that the secondary reason for incarnating is to clear the karmic decks with those you have incurred strong karmic bonds with. Often that means family members, spouses, etc., relationships that have not reached peaceful resolutions. The intention behind coming back into another body, they say, is to have another chance to come to peace with such souls, even though they will likely be in different bodies as well. This Hebrew expression means to bring harmony to our planet, or as some rabbis have put it: “the establishment of Godly qualities throughout the world.” Tikkun olam represents the final reason you’re here: to make this world a better place than it was in before you got here, to leave a lasting legacy, so that others can see the mark you left on the world. Taking on projects that can make a huge difference in the world is one way you can play your part in bringing about Tikkun olam. People like Jesus Christ, the Buddha, great gurus, Albert Schweitzer, Mother Teresa, and volunteers to the Peace Corps have all played their parts in bringing about Tikkun olam.